Google has expressed disappointment over the Swiss data protection authority's decision to take concerns over the search company's Street View service to court. Swiss information commissioner Hanspeter Thür claims Google has not done enough to make faces and vehicle number plates unrecognisable in the street level photographs provided by the service. But Google says the service was introduced two months ago only after it had been given the green light by Thür following several meetings. "We met with the Swiss Data Protection Authority before and after the launch, explaining our technology and, where requested, proposing steps that would reinforce Street View's privacy-protection and assuage any concerns," said Peter Fleischer, global privacy counsel for Google. The decision to take the matter to court is "regrettable" and suggests the Swiss Data Protection Authority is unwilling to engage with the solutions Google has offered, he said. Google listed five proposals submitted to the Swiss Data Protection Authority in a blog posting, including setting up channels for feedback and reporting problems. "We will contest any case vigorously. Street View has proved very popular in Switzerland since its launch and Swiss people only stand to suffer from this decision," said Fleischer. It is the first time that Google has faced a lawsuit from a government agency over Street View, according to the Financial Times. 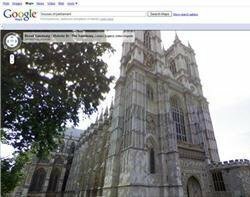 Privacy groups or regulators in a number of countries, including the UK, Italy, Germany and Japan, have raised concerns about Street View, but Google has negotiated measures to assure them.